While waiting for the water to boil, chop your asparagus into thirds (snap off tough white ends and discard). Mince parsley, squeeze lemon and measure out walnuts and butter. In a large sauce pan, melt 2 tbs of butter over medium heat until frothy. 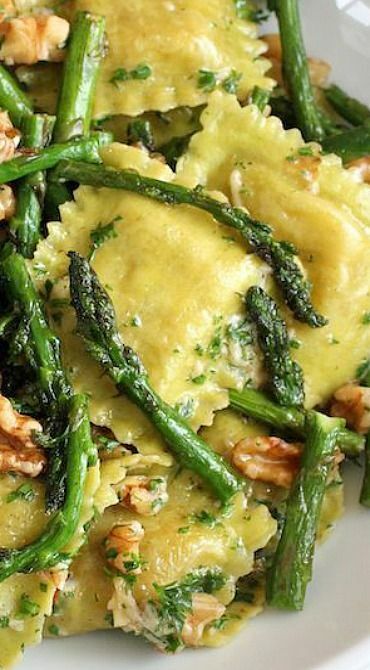 Add chopped asparagus to the pan, stir slightly to coat asparagus with butter and cover with the pan with a lid. The asparagus should be slightly damp when adding it to the pan..